Over the course of my career as a rabbi and a teacher, I have always adored tots. Long before I had two of my own, I loved the face of toddlers, and I loved the life inside their tiny little souls. 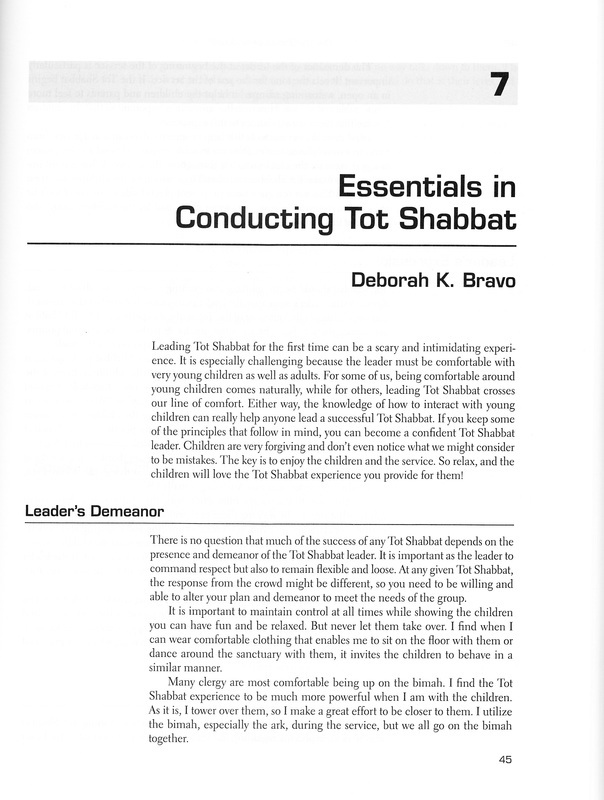 As I matured as a spiritual leader, I was always drawn to the Tot Shabbat experience. 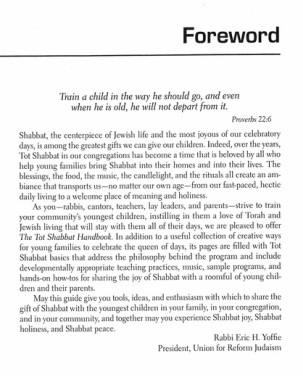 Therefore, it was truly my privilege when my friend and colleague, Rabbi Paula Feldstein, invited me to write a chapter in the new Union for Reform Judaism's Tot Shabbat Handbook.